The largest of the whaling stations, Leith Harbour is sited near the mouth of Stromness bay and from the old gun emplacement on the hill behind the station you are greeted with one of the most beautiful views in South Georgia. There is also a gun emplacement at Hansen Point with the original 4.1" gun still in position. 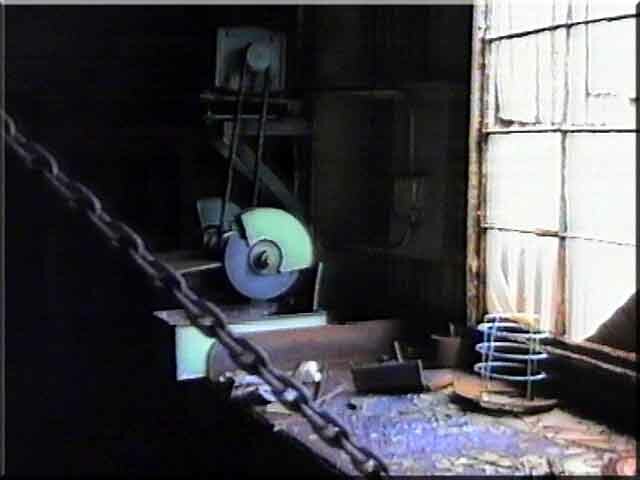 In the picture above, to the left, the factory buildings sit in front of the flensing plan. The grey buildings to the left of centre contain the boiler house and the power station, while on the right of centre to the edge of the picture are the workshops and blacksmith's shops. To the back can be seen the roofs of some of the accommodation blocks. At the opposite end of Leith Harbour, the Cemetery lies close to the reservoir and dam, while in the centre of Leith Harbour is the Portuguese graveyard. 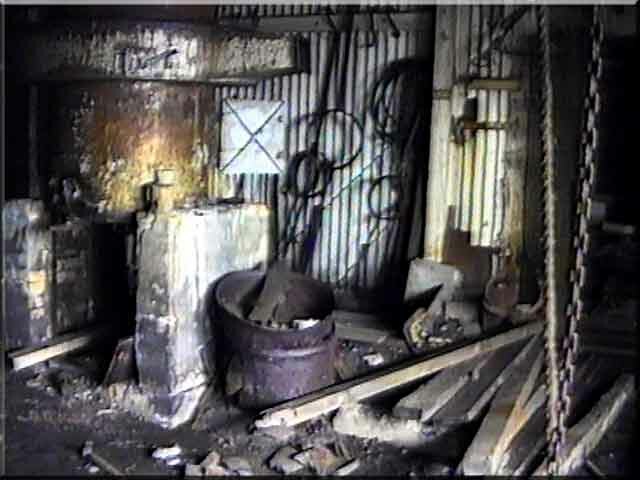 Most of the stores still contain spares and raw materials, which at the time must have been expensive commodities to leave behind. While working on the mooring, we are visited by HMS Northumberland. There was a decent library at Leith Harbour and a hospital. 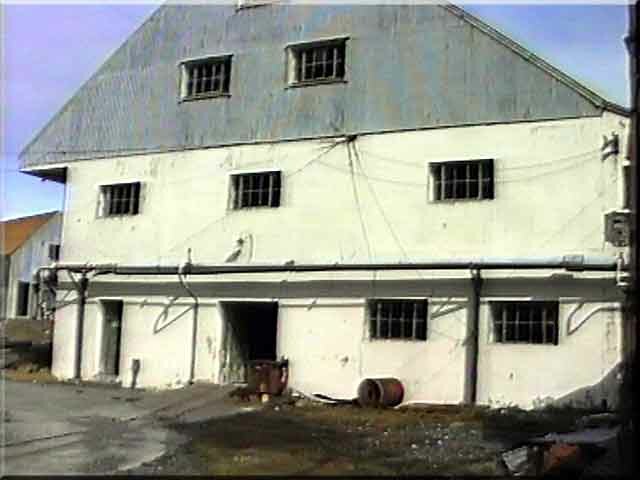 The dry store, where items like flour, crockery tinned and packet stores were housed. 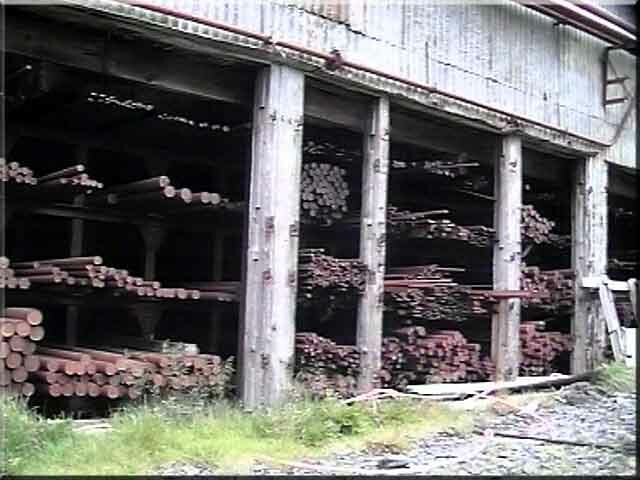 Walking through Leith Harbour, we pass the engineer's materiel stores still full of steel rod and bar of all forms from round to hexagonal. 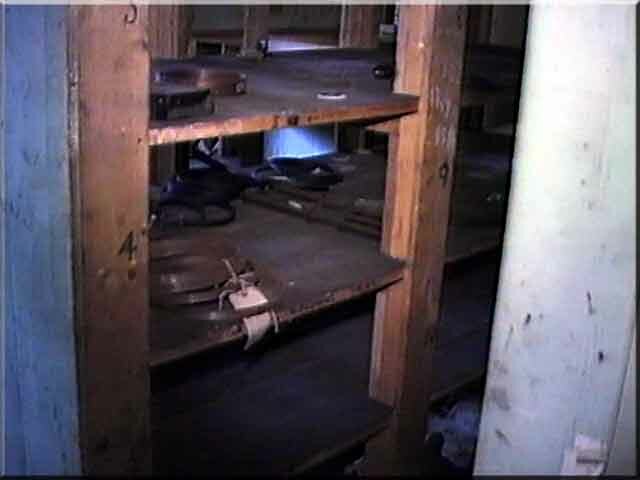 The whale catcher's store still has many items of spare gear for the ships in the original packaging. Brand new engine lubricators for the whale catchers, still sitting on the shelves - never to be used. 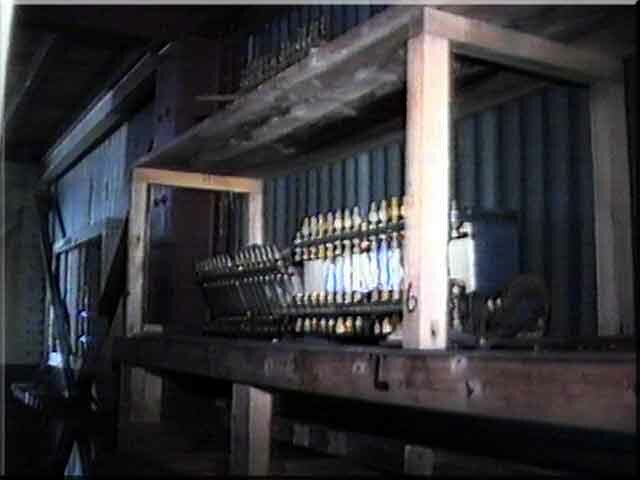 The shelves of the whale catcher's store with some engine parts with the original labels still attached. The Blacksmith's workshop with some of the tools still hanging on the wall in the background. The blacksmith's belt driven grinder, sitting ready for use. 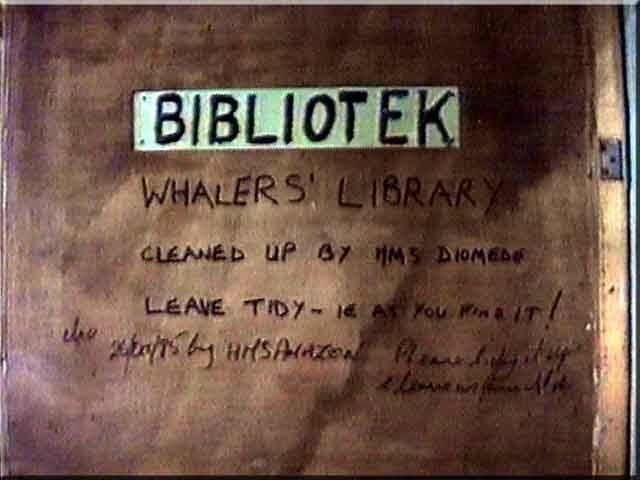 The Library or Bibliotek was cleaned up and tidied by the visiting warships. (Diomede and Amazon are seen here) The roof of this building however started to cave in and the windows were all but gone, allowing the weather to penetrate. 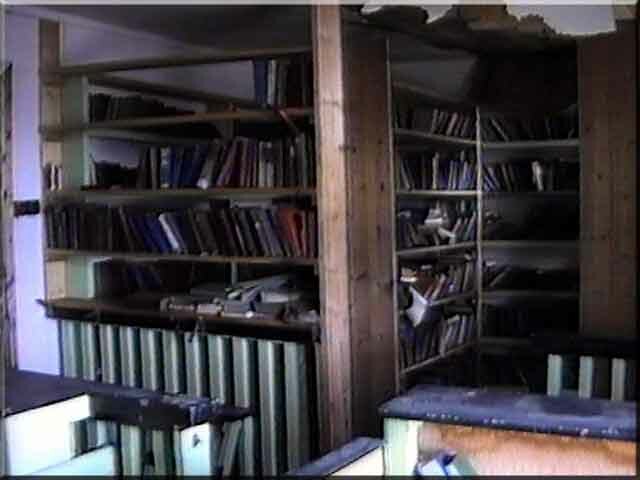 The books are now stored at the South Georgia Museum at Grytviken. A general view of the library as it was. The books were available in English and Norwegian. Interestingly, the majority of the English language books were ex Leith Library in Edinburgh. As we are working on the mooring system, HMS Northumberland passes by on exercise. Leith Harbour is just behind the Northumberland's bow. 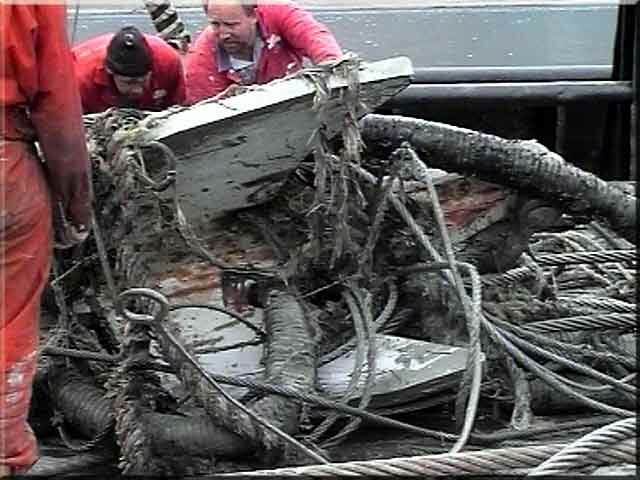 While grappling for the mooring anchor chains we bring up debris from the sea bed. 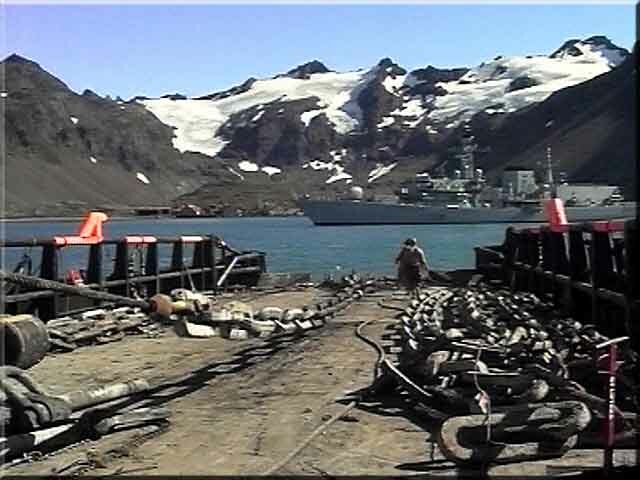 Here we have wire hawsers and armoured bunkering hose that must have been on the sea bed for forty years or more.